General discussion which are not covered in individual pages can be discussed here. Happy Diwali and New year !! GermanyMantra wishes you and your family a very happy & prosperous Diwali !! We have been receiving emails with positive responses and new requests to updates on website. We are very thankful to all who are writing to us. Our request us that please us contact us section. Site is good and very much useful. If possible please maintain yellow pages kind for all our Indian lawers, doctors and other services people. Your site is really good. It has lot of useful information. I am moving to Berlin in few days time. i wanted to know if i can bring my household items like washing machine , refrigerator etc from india. it seems it is ok from eltrical point of view , but wanted to check if it can be fitted there or not? 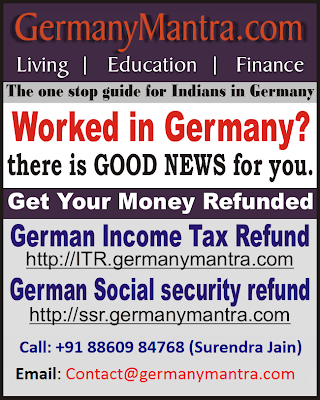 We welcome you to the Bulletin board of GermanyMantra.com. Here you can post your queries, needs, classified etc. for the members. They will be able to answer your questions using comments.